SO WHAT IS EDS UP ALL ABOUT? Eds Up is all about providing a heads up on cutting edge issues affecting you and your children. Eds Up is for thinking parents � both mums and dads � leading busy city lives, who want to keep in the loop on the relevant issues and be involved in their children's lives without having to spend hours sifting through the confusing mass of information bombarding them daily in the press. Check out our fantastic Eds Up E-edition. 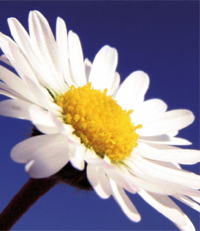 Just click on the DAISY to your left and check out our features on Speech and Language Development, School options - Boys/girls/Co-ed, Immunisations, Balancing work and kids, Summer camps and holidays, Vegetarian diet options ... AND MORE! I WANT ONE! If you want a magazine all for yourself, you can subscribe here too! Click on the red box and follow the instructions. A heads up on the latest news, research and media reaction to keep you in the loop. Take a look at our briefings and debates on current issues in your children's lives. Read our articles on life and learning outside the classroom confines.